Spring has officially sprung, and we are celebrating! From Cacao ceremonies to sun salutations, we are SO ready to peel off our winter layers – mentally, physically, emotionally, and very literally (hats, gloves, goodbye!) – and enjoy some deliciously longer + yoga-filled days. Round out your week with a feeling of calm, with this slow flow vinyasa class set to relaxing music and our beautiful space lit up only by candles. This 75 min vinyasa flow class will open up your body and draw you toward inner reflection. Allison will guide you through warming Sun Salutations to open your hips, shoulders, and spine, and then lead you into longer asana/posture holds to deepen your practice. You will wind down with grounding forward bends and hip openers. Class will end with a deeply restorative savasana to leave you feeling deliciously relaxed. Throughout class, Allison allows you time in each posture for centering and softening, while encouraging you to embrace the inward journey of yoga. Adding resistance bands to your yoga practice will help gain engagement, dynamic effort and stronger response of muscles! Creating variations with the use of resistance bands takes away limitations and makes poses more accessible. Come flow with us; have fun and create a more stable foundation for your practice and your life! Sacred Cacao is medicine for the heart. Cacao unlocks our creative potential & divine connection- complete heart and soul harmony with Source. This ceremony will bring you to a place of deep relaxation and grounding so that you may uncover your true place of balance within. We will begin with a chakra mediation which will prepare you for the sacred cacao drink (cacao melted down with hot water). We then sink and rest into our journey through inner and group reflections. To end, we move through an energetic release journey where you will use a crystal to help release any last density in the heart space- letting go of anything that is restricting the pure openness of your heart space in order to expand the heart to a greater capacity of love and compassion. A high-intensity yoga class with a fusion of tribe dance. By use of core and breathe you’ll leave this class sweaty and empowered! Bee You Kid’s Yoga Teacher Training! Bee You Yoga Kids Teacher Training – Teaching Yoga to Kids Ages 2-7 years old (15 hours). The Bee You Yoga (BYY) kids teacher training is a fun-filled, practical and engaging course that emphasizes teaching yoga and mindfulness to kids in a way that stretches their imaginations and offers them non-competitive environment where they are encouraged to “Bee Themselves.” What makes the Bee You Yoga training unique is the emphasis on mindfulness and the way in which it can be incorporated into children’s yoga and their everyday lives. This training is perfect for anyone that is interested in sharing the gift of yoga with kids; this includes teachers, parents, caregivers, therapists and yoga practitioners. Even if you’re already experienced in teaching yoga to children, this course is a great way to add innovative and fun ideas into your classes, keeping them fresh and engaging. Trainees will learn how to teach yoga classes for kids ages 2-7 with age appropriate yoga poses and activities, how to create theme-based yoga classes, how to use self-calming, meditation and mindfulness techniques to help kids calm their bodies and minds. At the end of the 15 hours, trainees will be prepared to start their teaching journey and will have the opportunity to practice teach a group of children. We are a part of nature, and as such, life comes in seasons: physically, emotionally, and spiritually. So often we long to see transformation in our physical world. Sometimes, we long to see transformation in the way we feel about our world. Rarely do we recognize that the health of our physical and emotional realm is directly related to our spiritual life. Spiritual renewal is the source of a wellspring of health & contentment. Spring is coming. A breakthrough is coming. Can you feel it? Join Abby Cornero for this Holy Yoga workshop, which will infuse Jesus’s teachings with prayer, pranayama, asana, and meditation. Pearl Yoga is celebrating its 2nd anniversary by offering complimentary classes all day with its regular teachers. And, Nature’s Plate (vegan cafe) will be providing samples of its vegetable and fruit juices all day! All classes will be 30 minutes long. To safely establish and grow, a strong base needs to be established. In this workshop led by Martesse Gilliam, you will breakdown and practice the basics of arm balances and going upside down to help you fine tune a safe and confident inversion practice. By the end of this 2-hour intensive workshop you will have the tools to practice inversions and arm balances at home, and depending on where you are currently in your practice, you may even start flowing into a handstand! Join us for a fun class as we dig deep and get a little sweaty. Surya Namaskar (Sun Salutation) is a series of postures that often serve as all-purpose yoga tool in vinyasa practices. The sequence is “classic” and we normally move through some variation of it toward the beginning of class to warm up, connect to our breath, and “find the flow.” But are we really making all those connections? All too often we lose the breath, get sweaty and a little exhausted, end up misaligned in all the movement, and find ourselves looking around like a deer in headlights when the teacher goes full-sanskrit. Join Bridget for a sun salutation workshop that will allow you to discover how to channel the energy that these dynamic sun sequences offer in a way that will support, nourish, energize, and engage you. 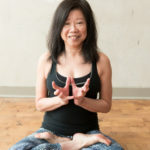 Come surrender and relieve stress with a gentle Yin Yoga sequence lead by Vita Semeraro and Acupuncture applied by Eric Vollero. The combination of yoga and acupuncture loosen the fascia and stretch out the shortened muscles so that they can return to a normal resting state. Yin yoga stretches meridians throughout the body, which helps regulate the flow that acupuncture strives to restore and maintain. Join us for an evening to move and be moved into our joy with Nationally Certified JourneyDance Facilitator, Jean O’Toole. The JourneyDance experience is designed to empower the community, create connection and to celebrate life. JourneyDance is a dynamic, transformational practice that combines guided and freestyle movement to help you get out of your mind, get into your bodies, and release that which no longer serves. We embody our temples on an evocative soul ride through the flow of experiential movement and the power of sound. We liberate ourselves on this spiritual and emotional journey that inspires uninhibited free expression of the Self. In this hypnotic container, our minds become clear and free, our outlook becomes more positive, our bodies become more fluid, energized, and powerful. JourneyDance™ calls us to heal, get physical, and connect with our inner resources to step into our highest potential, reconnecting us with our innate states of joy, well-being, and pleasure. JourneyDance™ acts as a catalyst for you to celebrate the magnificence of your body and life. We encourage self-trust, self-approval, and divine knowledge within the JourneyDance session. Through movement explorations, powerful core connections, fascia engagement, and breath awareness, participants will release judgment, freely express their sensual soul, and move into a new story of self-love by giving and receiving energetic and heart-centered touch, allowing healing and nourishment of supportive group connection. Diving Deep into our emotional landscape through Yin Yoga, Journaling, and Meditation. Each week we will discuss a major emotion, including fear, anger, worry, grief, and joy. This is a 5 week series, each class is two hours. Invest $30 as a drop-in or get the full 5 weeks for $140. Explore your practice from the inside out with Ellen Mosko. As we begin the study of yoga most of us experience a connection through the outer layers of the body. We know what we can touch, see or hear. Beyond the physical is a vast network of currents termed the Subtle Energy Body. These intangible systems can be difficult to grasp and yet animate all living things. When we examine and possibly direct these energetic storehouses, we experience an embodied approach to asana practice and can apply relevant concepts to our own lives. Master Frederick Neal, 6th Degree Black Belt is excited to share an introduction to Tai Chi to AMP Yoga! Sunday march 31st from 1pm-3pm. $20 Investment to balance the mind, body, and soul. Enjoy a day of some much needed tender, loving, Self-Care through gentle mindful practices. Your retreat will include restoring calm and clarity through meditation, flowing with healing movement through yoga, a healthy food demonstration, activites to assist in finding balance and opening your heart, and engaging dialogue. Also included are healthy breakfast treats and a delicious vegetarian lunch. Join us for a special yoga workshop on our Great Yoga Wall. We will start with some sun salutations on the mat to safely warm the entire body, then transition to our unique Yoga Wall to deepen postures, find increasing length in spine and joints, and build strength in muscles. This is an amazing way to delve more deeply into therapeutic poses with less pain. Wall benefits include reduced weight on joints such as wrists; greater body awareness; longer times in a posture improves balance and builds core; mobilization of particularly restricted areas such as tight shoulders, hips or hamstrings; inversions for restoration and rejuvenation.